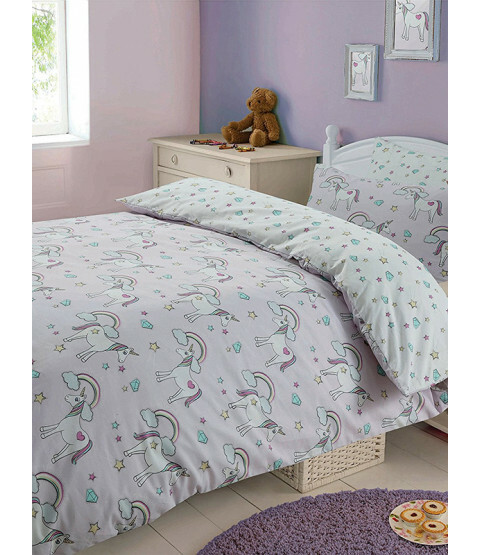 This Magic Unicorns double duvet cover set will add an ideal finishing touch to any unicorn themed bedroom. 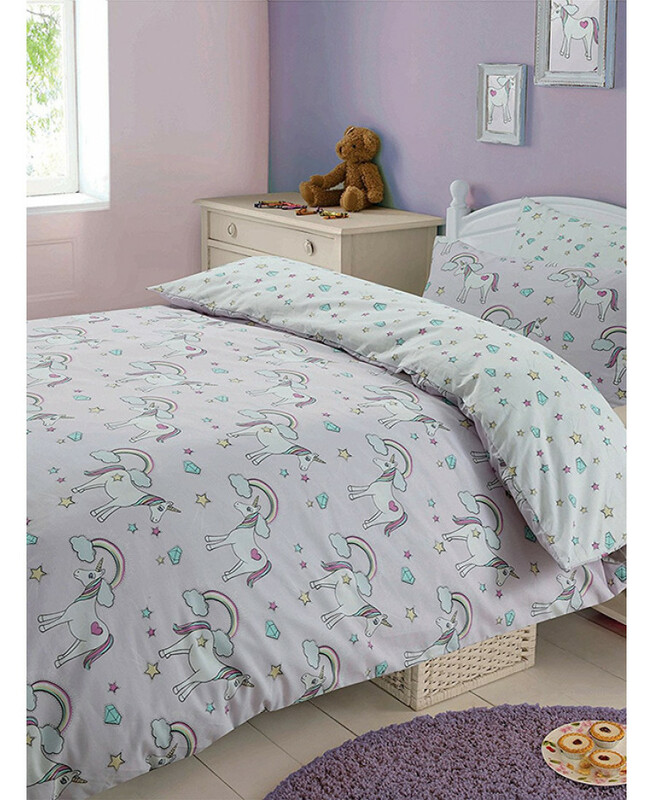 The duvet cover features pretty unicorns in teal, yellow, pink and white, on a pale lilac background patterned with rainbows, stars and diamonds. The reverse has a coordinating stars and diamonds pattern on a white background, giving you two great designs to choose from. This bedding set can be machine washed and tumble dried on a cool setting.